The difficult task of editing, printing, promoting, contacting, meeting is never ending in this business. Shooting is the easy part. I love showing new work face-to-face with creatives but it’s not always possible. Here’s a little preview of my new printed 2019 portfolio. Great to see the Gala office decorated with recent campaigns. The reality of shooting is that a lot of ads you never see and you shoot that much content it will be used in multiple specific sectors to the client online. 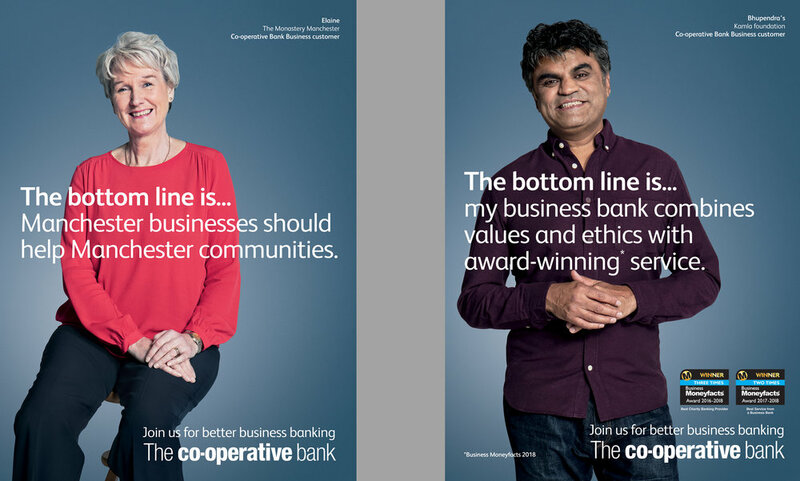 First shoot of the year working again in Manchester with BJL for a great Co-Op Bank campaign. Here we are all listening to Bhupendra talking about how he helps woman in India dealing with their everyday struggle and how he has made it his mission to do as much as he can. I get the chance to photograph many people, in many scenarios for many levels in the world of photography. It is always a pleasure to shoot talented young people with drive and passion for their craft. I arrived at a town hall where Simone Abley, a Taekwondo champion, was coaching a group of kids. I introduced myself and asked to see the medals she brought. She showed my about 15 world class medals. A great pleasure shooting Gareth Southgate OBE recently. We spent the afternoon shooting and chatting as well as finding out about the waistcoat story. Here is the cover shot. Check out the NEW WORK page to see more images. Very pleased to be able to show this final image used for new BBC drama, Care. It was a pleasure to work with such talented actors, Sheridan Smith and Alison Steadman. On set for Ladbrokes again, this time Frank Bruno. Here I am trying to direct the legend himself. Trying to make the shoot happen the best we can int he rain this weekend. Due to a tight deadline and availability we needed to shoot rain, wind or shine. I have been making some short films for clothing brand Always Wear Red. Here is the final film combining 4 stories of independent business owners for clothing brand Always Wear Red. Founder Michael Owen explains the the connection between them and their passion why they do what they love. I personally can complete relate to their passion about doing what you love, and have really enjoyed telling their stories. It’s been a pleasure and thanks to everyone involved and Michael at AWR for allowing me to create the films. All films can be found via the motion page. 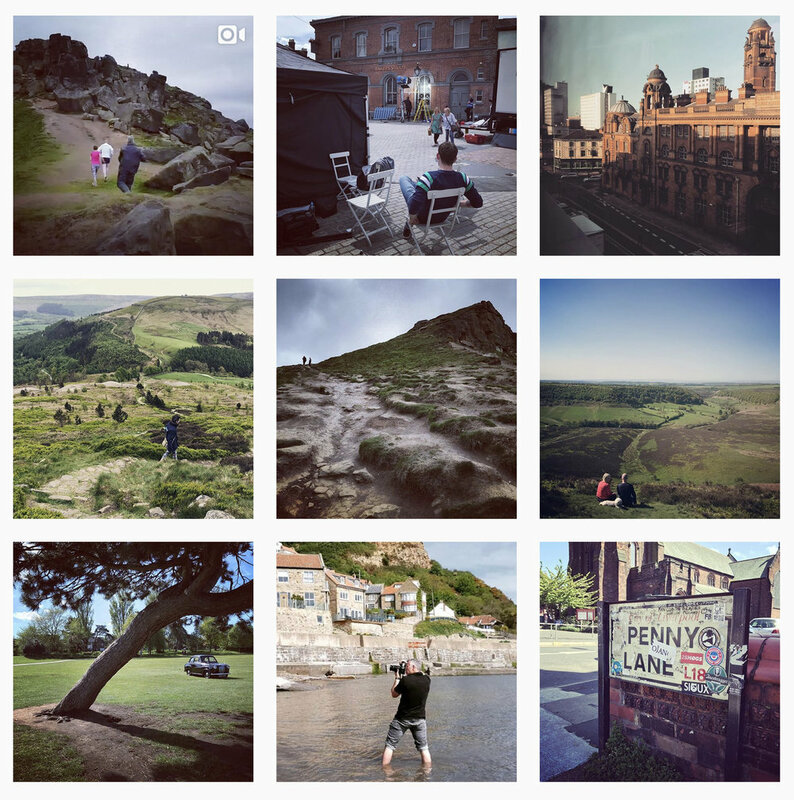 The endless instagram posts, but, I do love the journey and places and people we meet along the way. Everyday is different, and the last few months have certainly been that. 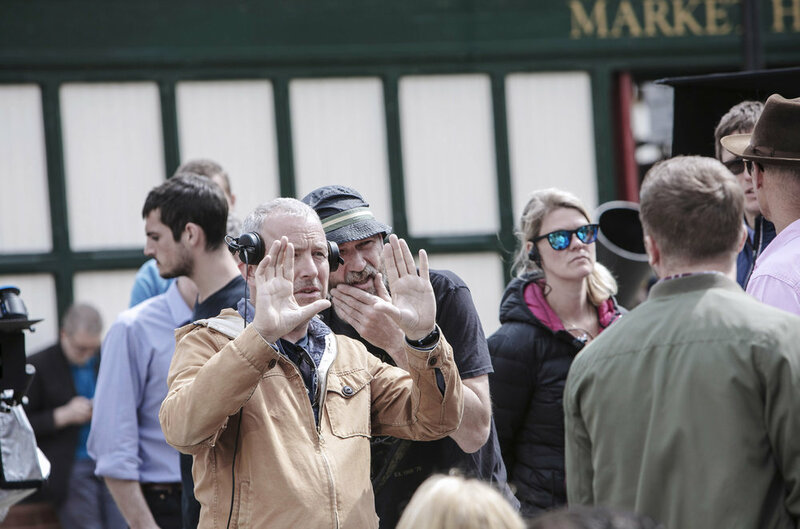 Here’s a grab from our (Adam my assistant) locations filming 5 films for North Yorkshire National Park and onset of Ladbrokes tv ad in Liverpool and Manchester. A new set of short films following 4 independent business owners and why they live, breath and love what they are passionate about. Are you playing bingo Gary? 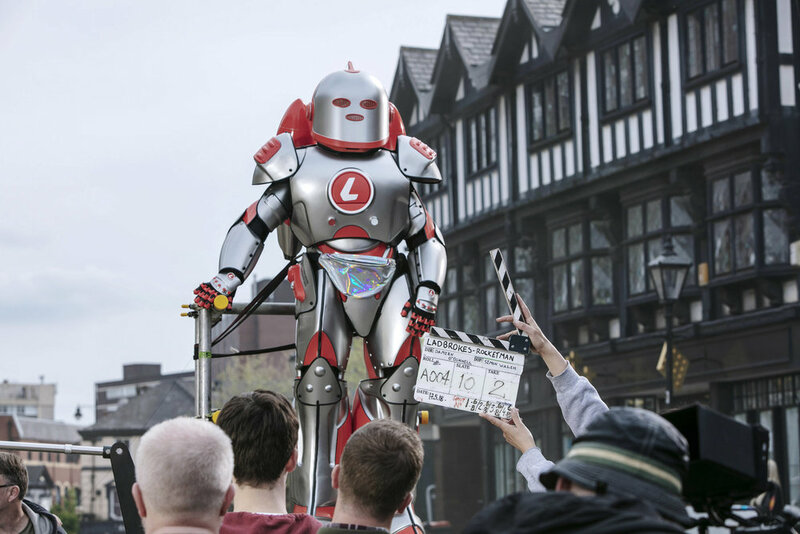 New image shot on the set of Gala Bingo’s new TV ad. Shot at Chief studios in Manchester, we were there shooting on set and campaign images for the new web and print campaign. More personal portraits on the set of yet another tv ad. The biggest crowd gathering of the week was when the mariachi band came in to do their bit. The final ad should be a nice one to share. A few recent Clarks campaign images. We managed to set up after the film crew had finished their shoot relighting the scenes to capture the same atmosphere but more control for our stills layouts we needed to achieve. These can be seen across both print and web media. 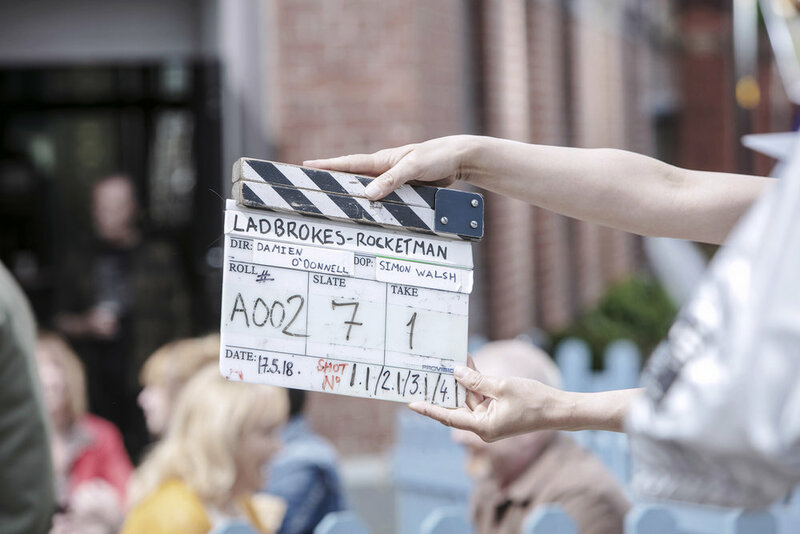 The new Ladbrokes Rocketman advert is now released. 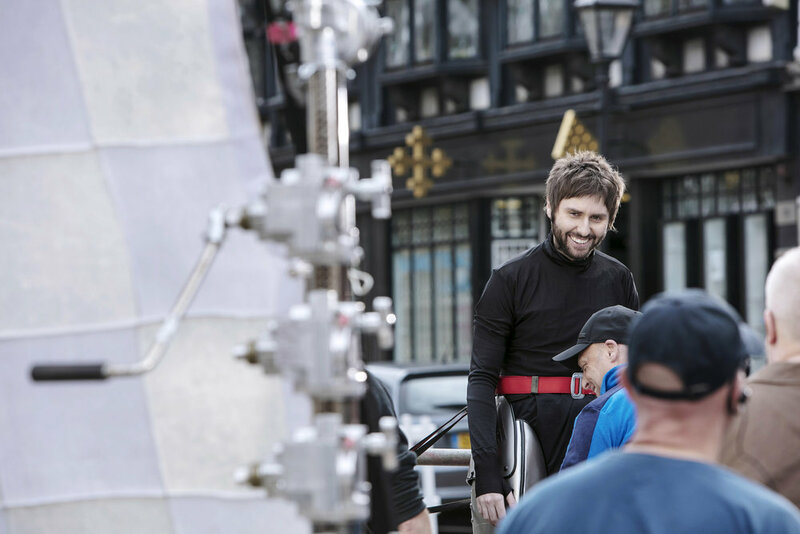 It was a pleasure to shoot James Buckley in the studio for campaign images. We spent a day on set and achieved only behind the scenes images. That's the way it goes sometimes on tv sets. Lads lads lads and EVERYBODY !!! World Cup has been and gone, but left a very permanent mark on a united nation. Along with the England football team, Brian Blessed is also a nation treasure, and here is riding a bear. You can see our technical set up to create the exact position.